﻿ Best Price on Hidden Paradise Resort in Negril + Reviews! Hidden Paradise Resorts is a beachfront property located in Negril; it offers an outdoor swimming pool, free private parking and free Wi-Fi access is available throughout. 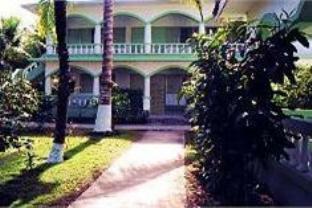 The air-conditioned rooms here feature a TV, a safety-deposit box, and a view of the garden. Additionally, guests will find a private bathroom which includes a shower. Hidden Paradise Resort has an on-site bar; a variety of restaurants, coffee shops, and a supermarket can be reached within a 10-minute drive. Negril Aerodrome Airport is 2 km away while Sangster International Airport is a 2-hour drive from the property.